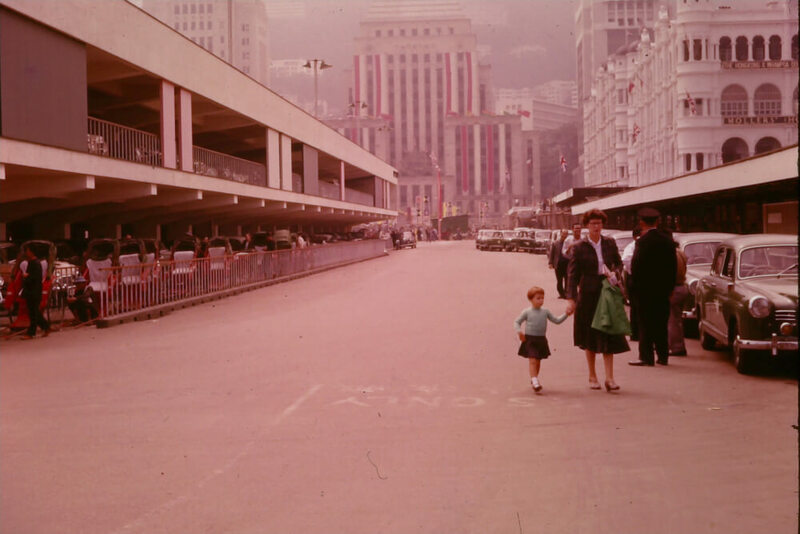 Though it would be nearly forty more years before the United Kingdom handed Hong Kong back to China, by the tail end of the 1950s its empire’s days were undoubtedly numbered. Businesswoman Mo Morgan has lived in the city since 2000, but she was just ten when she first visited in 1959 with her late father, Wing Commander John H Cook of the RAF, her late mother, Jenny, and younger sister, Alyson. The trip, unbeknown to the family at the time, also coincided with a royal stopover. With Queen Elizabeth II pregnant with Andrew, Prince Philip’s South Asian tour was made alone, his other destinations including India, Myanmar and Pakistan. This collection of never-before-published snaps by Mo’s dad not only capture the prince’s visit, but offer a fascinating glimpse of a city on the brink of an economic boom, a still fertile land upon which the seeds of today’s soaring skyscrapers would be sown to emerge as Asia’s World City, the East-meets-West cultural cocktail for which Hong Kong still remains famed. What were your first impressions upon arrival in Victoria Harbour? Mo shared these images free of charge. She asked if anyone would like to make a donation to the Alzheimer’s Society in memory of her father.